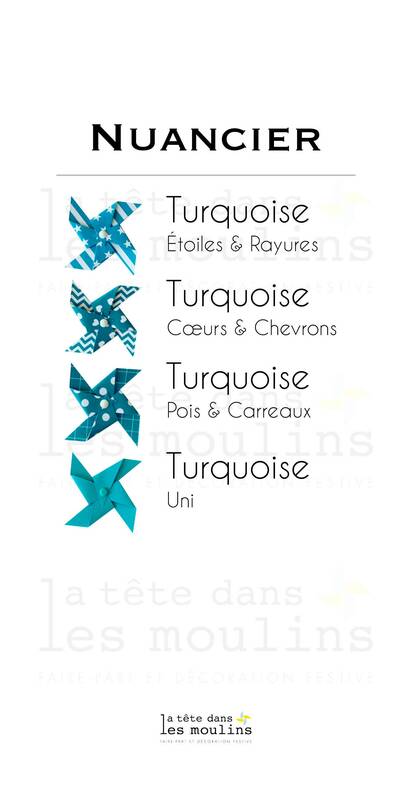 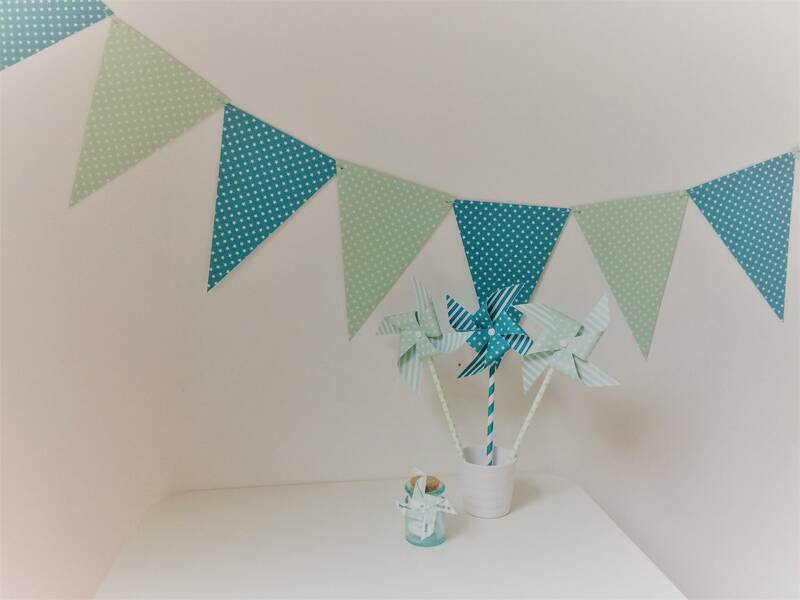 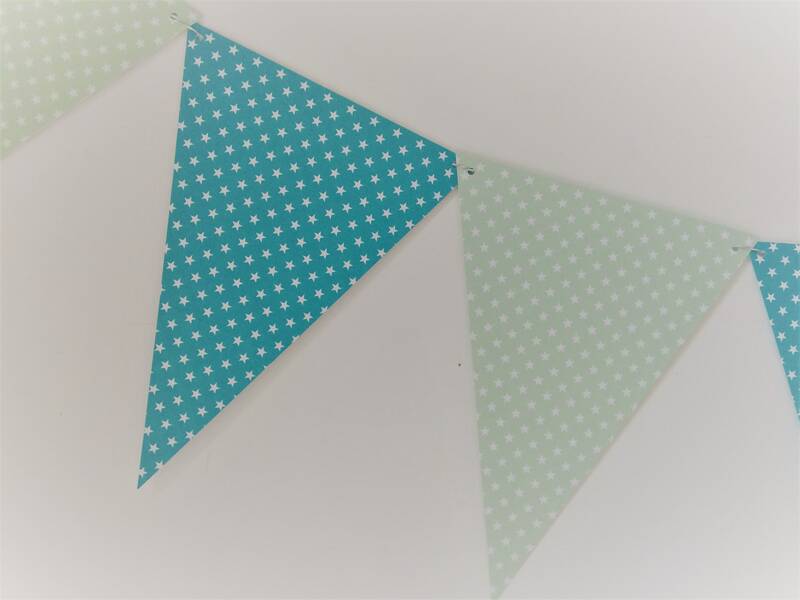 Garland of flags in shades of turquoise & green with white patterns. 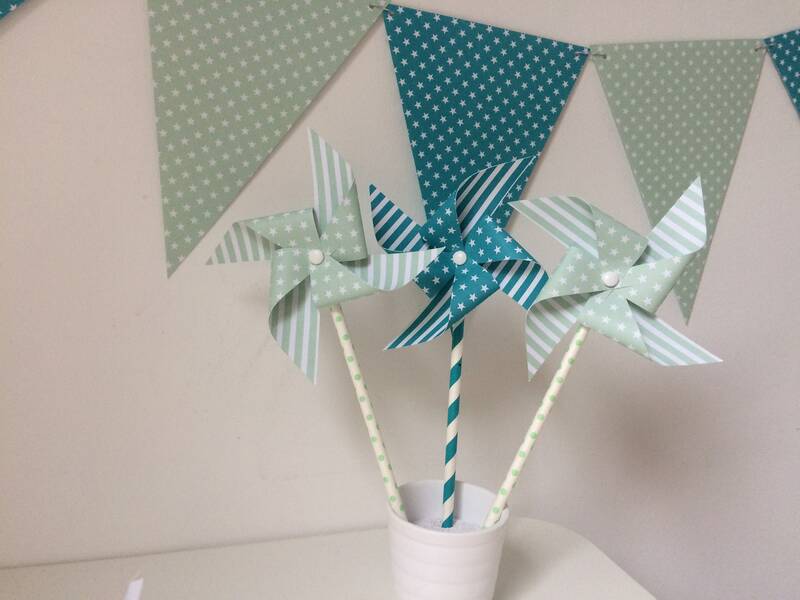 Available in all colors of pinwheels decorations in my shop. 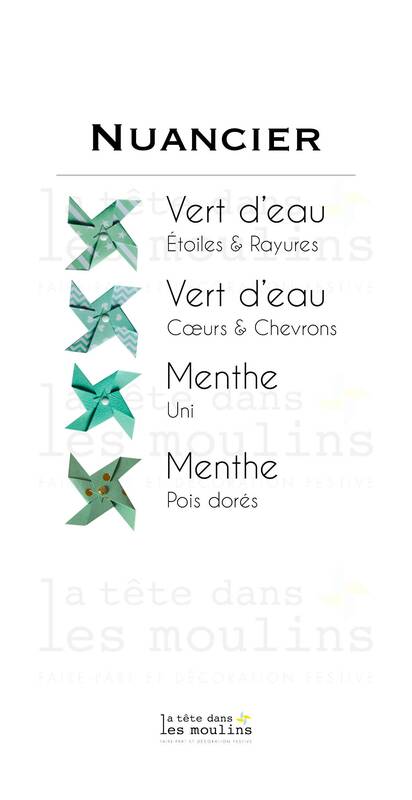 You can also refer to the different shades available on my swatches to ask for your custom wreath!